Here's more heritage photos (y'all know how much I love the old black & whites!) 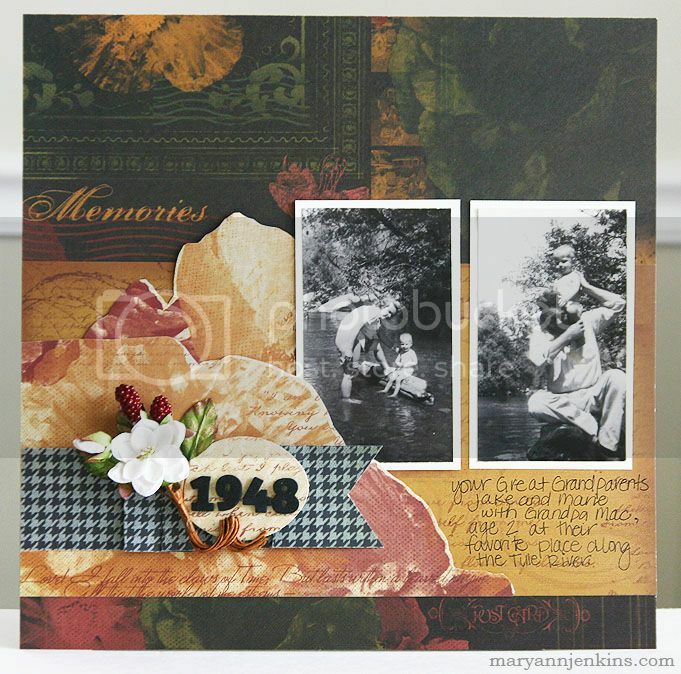 on this layout I made for Scrapbook Daisies along with the "Cracklin' Rose" collection from Quick Quotes. With a bit of creative cutting and folding, I used just 2 pieces of paper for the whole layout! wow i'm still trying to figure out how you only used 2 papers for this layout... looks great! This is awesome! What a great set of colors and embellishments for heritage LOs. The houndstooth is my favorite part! I will have to remember that the next time I do a heritage page. Okay, two pieces of paper...that is impressive!! I don't think I can do a page with less than 5 papers! 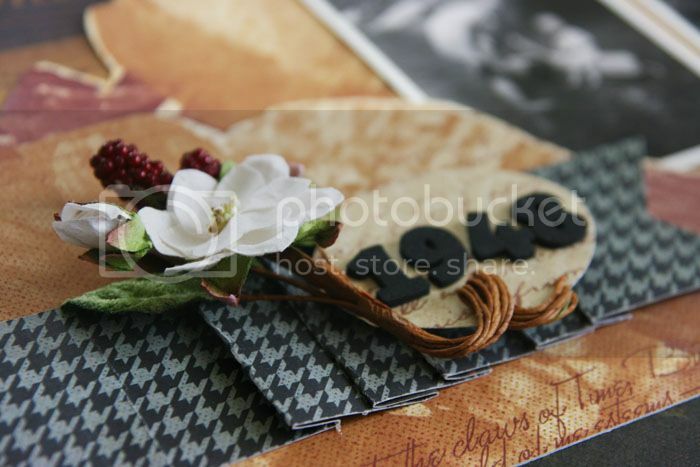 :) It's a beautiful layout Mary Ann, and the papers look great with your b&w photos!